Exporting and Sharing Dynamics 365 Reports Made Easy! Business reports are a primary mode of communication in an organization that adds immense value to the business processes. One of the primary reason why organizations choose Microsoft Dynamics 365 Customer Engagement is because of its reporting capabilities that enable users to analyze the enterprise data for actionable insights. Dynamics 365 reports are widely used by Managers and CXOs to interpret and understand the CRM data to improve internal business processes. The insights gained from these reports eventually help the Management to make impactful & informed decisions. 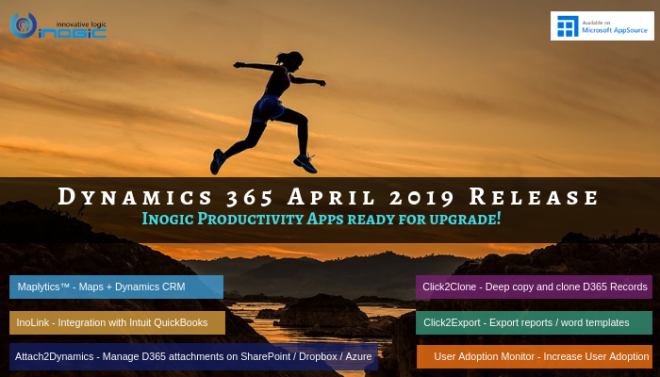 Apart from the internal usage, Dynamics 365 reports can also be used to communicate information to clients, investors, contractors, and various governing agencies. However, exporting and emailing a Dynamics 365 report in different formats like MS PDF, MS Word or MS Excel involves several clicks and employees often spend a considerable amount of time performing these actions. 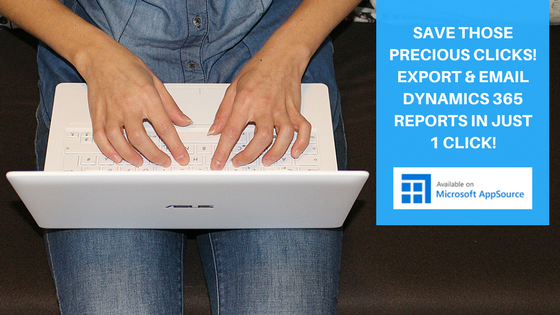 Now Save those precious clicks and export & email Microsoft Dynamics 365 reports in just one click! Click2Export is a productivity app for Microsoft Dynamics 365 Customer Engagement that empowers the users to export and email Dynamics CRM reports in just one click. Click2Export supports multiple file formats like PDF, Word or Excel! Click2Export reduces the multiple clicks that are currently required to get a report sent out as an email attachment to a single click and considerably improves the productivity of Dynamics 365 users. GET YOUR FREE TRIAL FROM THE WEBSITE OR MICROSOFT APPSOURCE!